After a great day and evening spent with Zuldee and Sally, I spent some more time chatting with the other guests at Sensi Backpackers. The Shanghai family is scheduled to leave the day after, just like me. We spent some more hours just chatting and me trying to convince them to come here in the Philippines. 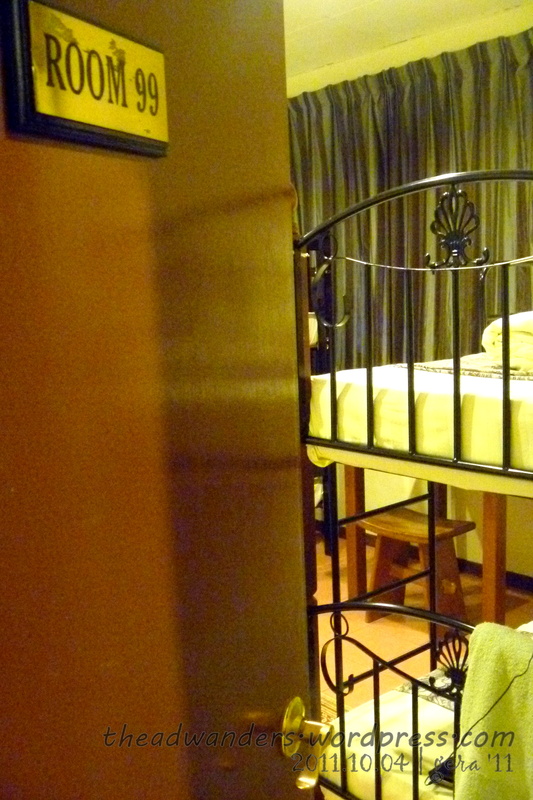 After that, my eyes and body finally gave in to the strong pull of the comfortable bed. Anyway, if my camera time tag is correct, I am still having my bread toasted at 6:45am. The ferry that would take me from Kota Kinabalu to Brunei, passing through Labuan Federal Territory of Malaysia, is set to leave at 8am. Meaning, I should have been on my way at that time already instead of having two toasted bread with butter (more of margarine actually), strawberry jam and orange marmalade. So, I had to rely on my long legs and even longer strides to get me there before the departure time. I even made some stops actually, taking snaps here and there (I think I ended up erasing those here and there snaps when I ran out of memory somewhere in Vietnam). One of the snaps here and there that survived the cut! I think it took me about 20 minutes walking from Sensi to Jesselton. It probably helped that I have been to Jesselton the day before for my Sapi Island Hopping Half-day Tour. I bought my ticket (sorry, I’ll try to juggle my memory to remember from which counter it was purchased) and paid the terminal fee. I asked for the cheapest ticket available (economy ticket), priced at RM53 + RM 3.6 for the terminal fee at Jesselton. On the way back from Sapi Island, Zuldee has already called me to say that his meeting is finished and that he’ll wait for me by the entrance of Jesselton Point. 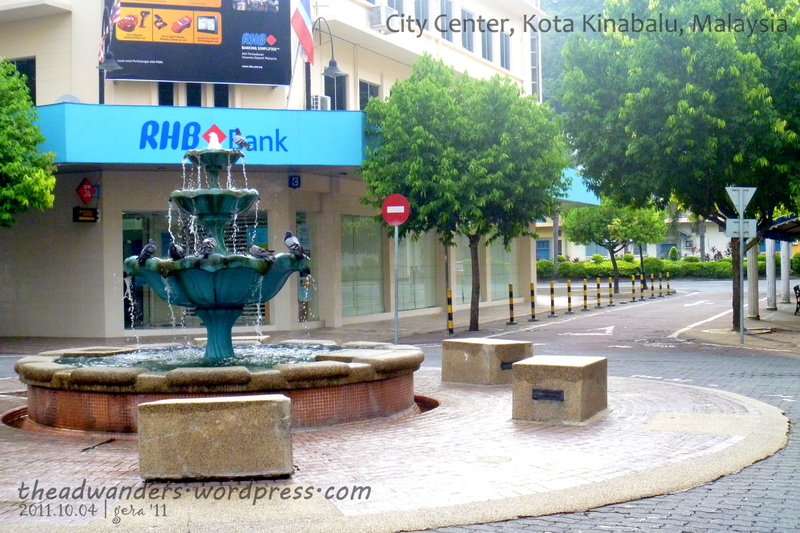 He has generously offered to take me around Kota Kinabalu City to see the sights that I wanted to see. I feel welcomed! KK, here I come (again)! 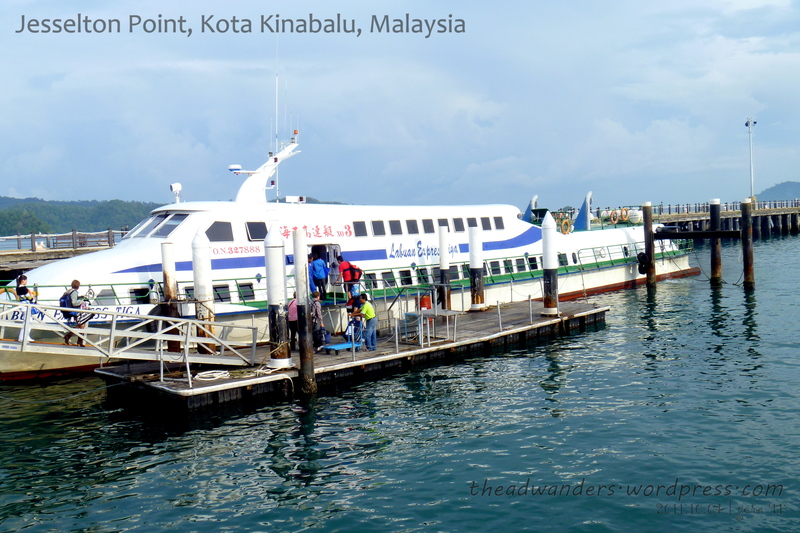 If there was one thing I really hated about the cancellation of my flight to Kota Kinabalu, Malaysia, it would be the full day I was supposed to spend at the Tunku Abdul Rahman Marine Park. 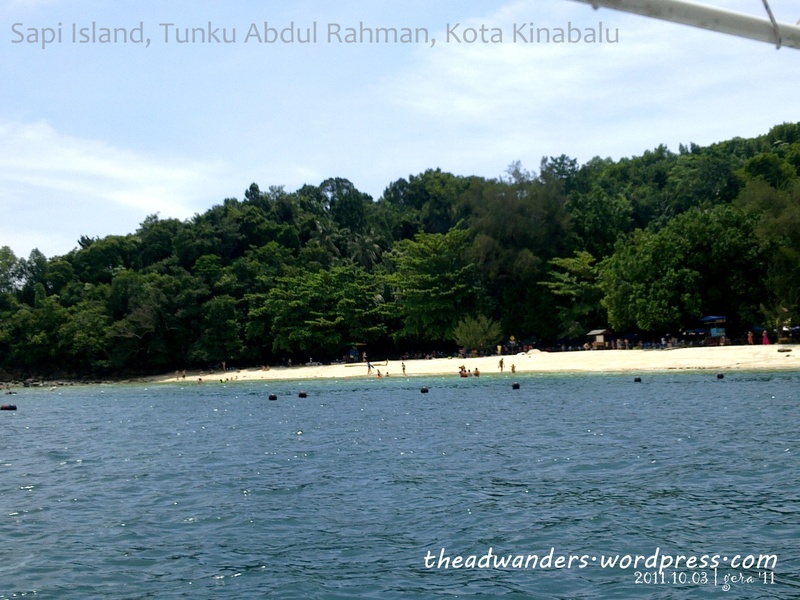 Sapi Island--a stretch of white sand beach with pine trees instead of coconuts! 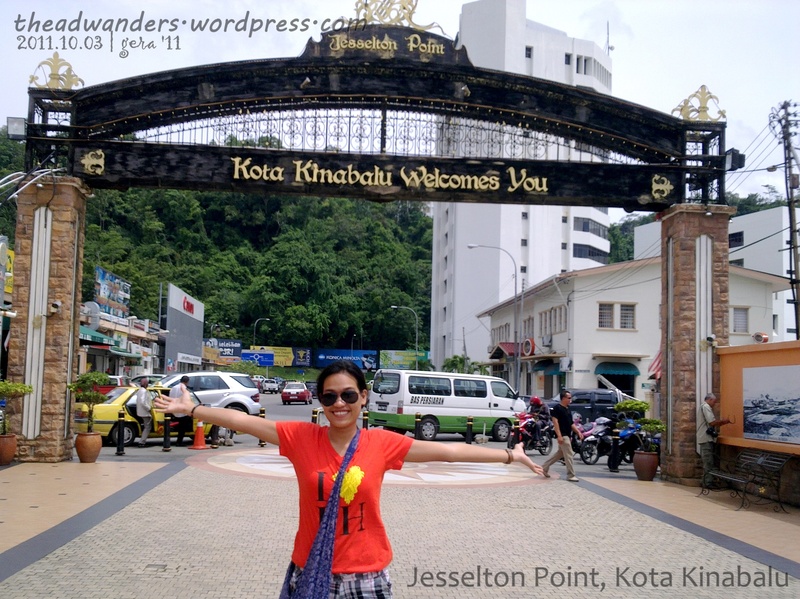 Backpacking South East Asia: Selamat datang, Kota Kinabalu! The flight was at 4pm so I took my sweet time preparing back at my place in Novaliches. Perhaps too sweet. 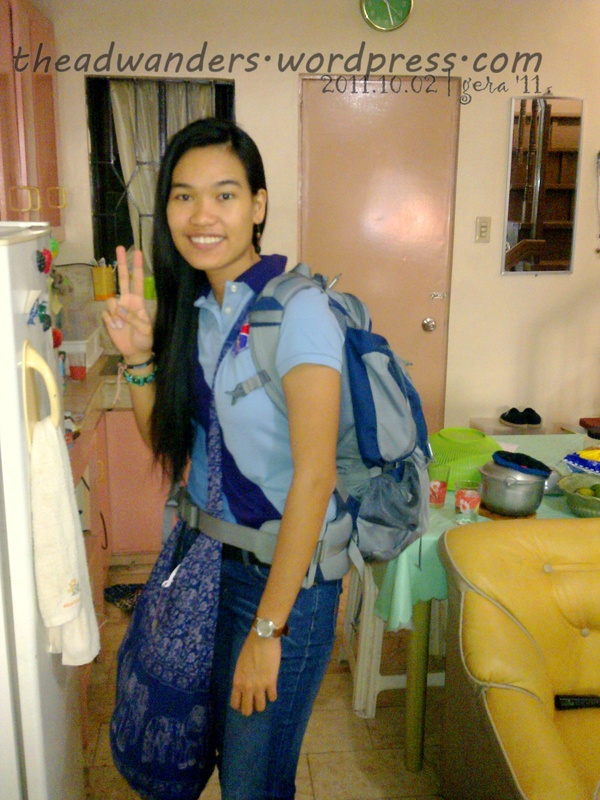 It was already 10:40 when I flagged a passing FX and by 11:30, I boarded a bus from Trinoma going to Dau Bus Terminal. I planned to take a jeepney ride to SM Clark and then take another jeep passing through the Diosdado Macapagal International Airport (DMIA) but, as I arrived at almost 1pm already, I feared I might make the wrong jeepney (little is still known about this route) and not have enough time if ever the horror stories about power-tripping immigration officers are true. I’ve already lost one day due to the storm and I certainly don’t want to miss my flight and delay my trip any longer. It was, I believe, a good thing then when I saw a sign, written on what seemed like a torn carton, that read: “Shuttle: Dau to Clark Airport AIRCON” (or so I remembered). I walked to the sign and asked the drivers around. They called for a man, probably in his 50s or 60s, who’s like the conductor/dispatcher. He told me there are already two passengers and we need to wait just for two more. Fare is P100. I think it’s quite steep but acceptable. 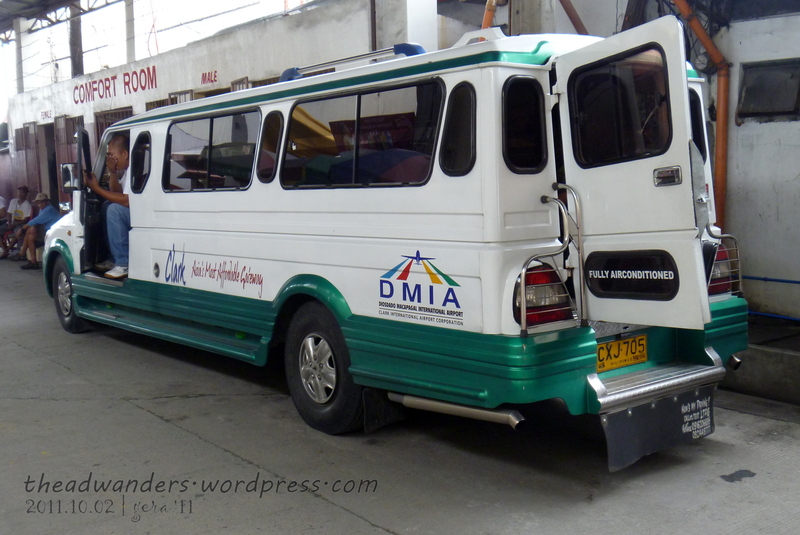 When I agreed, he ushered me into the left side of the terminal wherein an airconditioned shuttle is waiting. Of course, the AC was not yet on. Just before I head out. I miss THAT skin! Hello guys! Yes, I am back! I got darker, with some bruises, scratches and burns here and there, and calluses on my feet worth a lot of tip for whoever’s gonna be doing a foot spa on it. But more than this, I am back with a backpack full of stories to tell and I know you are dying to know about my epic 27-day journey across South East Asia. Hehehe. Okay, I’m probably assuming here but as everyone I know who knew about my trip have been asking about it, I’d have to say that at least more than 10 people are waiting for blog entries about it, especially since I keep telling them to read this travel blog. Keep in mind that I have you guys in mind (hanu daw?!) while I was traveling so I’m sure the details I’ll share in the next posts will really keep you coming back and hopefully, encouraging you to go and travel too! But, before I post the more detailed “reports”, I’ll give you three quick summaries of my traveling experience–just a bit to pacify your need to know and just enough to keep you glued for more. Hehe. I divided the trip summaries into three: 1. Borneo (Kota Kinabalu, Sabah, Malaysia; Negara Brunei Darussalam; and Miri, Sarawak, Mayasia); 2. Ports and Islands (Singapore; Kuala Lumpur and Melaka, Malaysia; and Phuket, Thailand); and 3. IndoChina (Bangkok, Thailand; Siem Reap and Phnom Penh, Cambodia; and Ho Chi Minh, Vietnam).